The beaches on the south shore of the island are the most popular with fine sand and water that is perfect for swimming. ORNOS and Psarou beaches are the favourite among families, but Psarou is also ideal for water sports of all kinds. Paradise and Super Paradise beaches attract the young and beautiful while the quiet cove at Agrari beach is the place to relax. Elia beach is very long and beautiful and becoming very popular with a mostly flamboyant crowd! 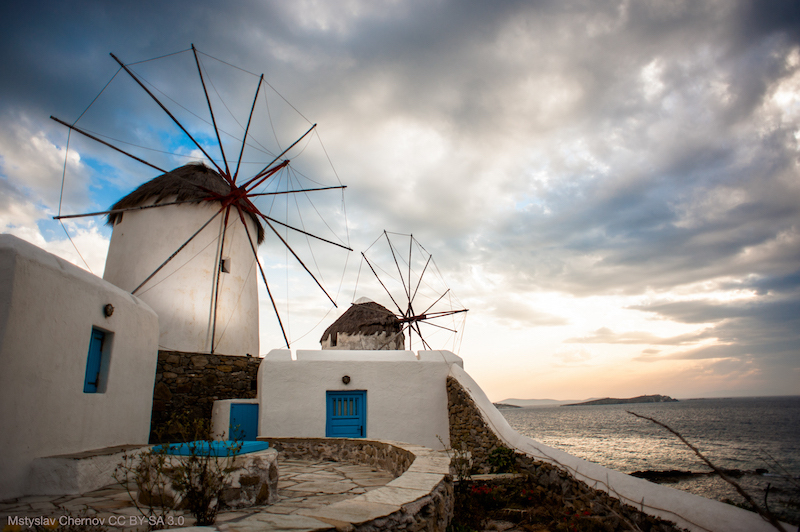 At night it becomes clear why Mykonos is touted as one of the most hedonistic islands around. The party starts with a toast to the sunset in Little Venice and continues through the night at the dance clubs and bars tucked away in town or along Paradise Beach. 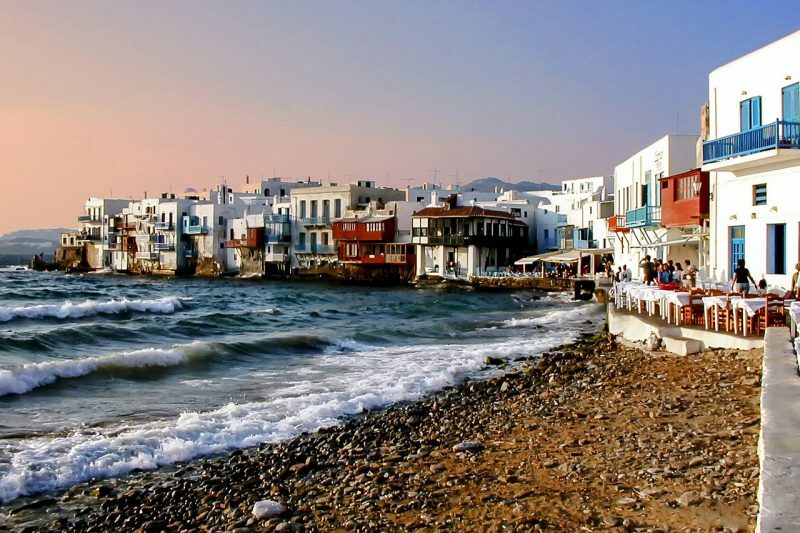 Mykonos – Easy to get there – once visited you will become addicted. There are 18 major beaches to suit all tastes. 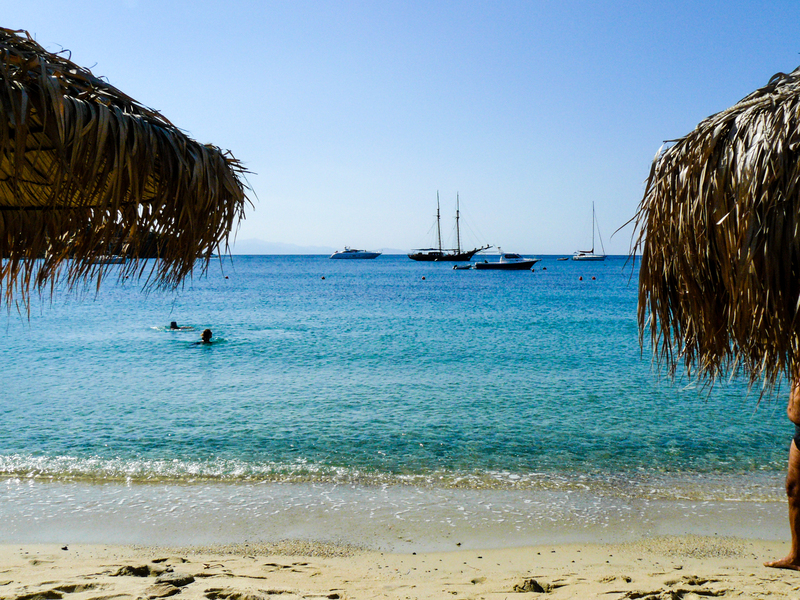 I have not been to Mykonos before but now I am certainly hooked!